2018 Hyundai Nexo verdict | What Car? We automotive journalists get to spend a lot of time chatting to engineers about breakthrough technological advancements and where they see the industry going in the next 20 years. And while electric propulsion is usually the most common theme of discussion, most engineers will admit that in the long run, hydrogen power is likely to play a big part. That shouldn’t really come as much of a surprise, because it’s easy to make a case in favour of hydrogen power. Take the Nexo: it produces zero emissions, has an official range of 497 miles, can be refuelled in minutes and even improves air quality by taking in ‘dirty air’ and emitting clean air – yes, really. 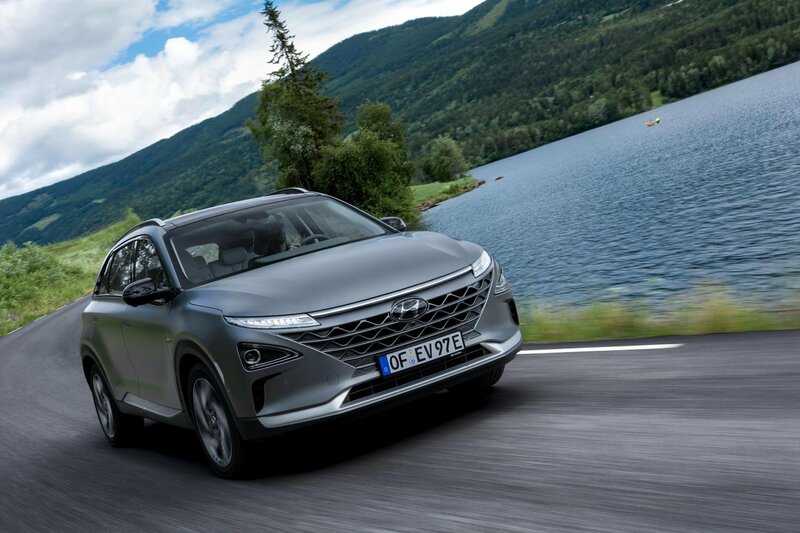 However, the Nexo, like all other hydrogen cars up until this point, faces two hurdles that show no sign of improving any time soon: cost and the availability of hydrogen filling stations. With the Government only just starting to focus on electric vehicles, it’s probably going to be a very long time until we see attention turn towards hydrogen propulsion. So, for the time being, unless you live near London, you'll be severely restricted when it comes to driving your Nexo long distances. As mentioned, Hyundai estimates that the Nexo will come in at around £60,000. That's good value, you could argue, if you compare the Nexo to earlier hydrogen cars. But in reality, we suspect that even early adopters will find that a steep price to pay to be at the cutting edge of fuel cell development. Especially when you can already purchase a zero-emissions car that’s faster, better to drive and has a premium badge to boot: the I-Pace. In conclusion, the Nexo isn’t quite ready to take on the world just yet, but Hyundai is committed to this technology and has been making massive strides year on year. In fact, Hyundai reckons it can get the price of its fuel cell vehicles down by at least 30% by 2025, making them competitive with petrol and diesel models. Until then, however, the Nexo really is reserved for those dedicated few who want to experience a slice of tomorrow today.